As per the global studies on research investment, 2014, India spends 0.85 per cent of GDP on research as against United States with 2.74 per cent, China with 2.10 per cent, Japan with 3.58 per cent, Germany with 2.84 per cent and South Korea with 4.29 per cent. 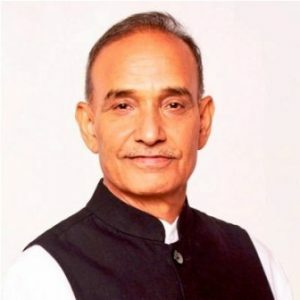 As an impetus to the research ecosystem in India, the Government has launched various schemes for retaining young researchers as per a written reply in the Lok Sabha given by the Minister of State (HRD), Dr. Satya Pal Singh to a Parliamentary question. The response pointed out Prime Minister’s Research Fellowship as one of the prominent schemes that attracts bright and meritorious students into research within the country with attractive fellowship for five years for selected students who are given Rs.70,000 per month for the first two years, Rs. 75,000 per month in the third year and Rs.80,000 per month in 4th and 5th year with an annual research grant of Rs.2 lakh. He also added that Institution’s Innovation Council (IIC) have been established in 960 Higher Educational Institutions (HEIs) for promoting innovation ecosystem within their campuses. The Minister also stated that in order to set up research parks, “The Government has approved setting up of Research Parks at IIT Kharagpur, IIT Bombay, IIT Delhi, IIT Guwahati, IIT Kanpur, IIT Hyderabad, IIT Gandhinagar and IISc Bangalore”. In order to combat the engineering challenges, the Impacting research Innovation and Technology (IMPRINT) scheme was stated to provide solutions that could translate knowledge into viable technology (products or processes) in 10 selected technology domains. Notably, Indian universities have often suffered from their failure to provide adequate infrastructure or stand-alone innovative thinking that can convert into solutions. Experts suggest that this stems from lack of acknowledgement of research as a field and the potential to open up to original thinking. As per the global studies on research investment, 2014, India spends 0.85 per cent of GDP on research as against United States with 2.74 per cent, China with 2.10 per cent, Japan with 3.58 per cent, Germany with 2.84 per cent and South Korea with 4.29 per cent. Additionally, Dr. Singh also spoke about the Smart India Hackathons which are being organised on yearly basis since 2017 to find out digital solutions to various problems faced by the people and gives hands on working and research opportunity for engineering students. He also said that in order to attract, motivate and sponsor best graduate engineers for part-time M.Tech and Ph.D. programmes, a Trainee Teacher Scheme had been initiated in National Institutes of Technology (NITs). Research Scientist, Research Award, Emeritus Fellowship, Dr. S. Radhakrishnan Post-Doctoral Fellowship in Humanities, Post-Doctoral Fellowship for SC/ST, Post- Doctoral Fellowship for Women, Junior Research Fellowship (for Ph.D.) were others on the list. State Budgets 2019-20: Would ambitious targets undo debt trap?